The Physics of the Oozlum Bird is intriguing because it has the ability to fly around in ever-decreasing circles until it disappears [with an almighty big bang] into a black hole. The oozlum bird, also spelled ouzelum, is a legendary creature found in Australian and British folk tales and legends. Some versions have it that, when startled, the bird will take off and fly around in ever-decreasing circles until it manages to fly up itself, disappearing completely, which adds to its rarity. Other sources state that the bird flies backwards so that it can admire its own beautiful tail feathers, or because while it does not know where it is going, it likes to know where it has been. The Physics of the Oozlum Bird was first observed in 1858 when it was deemed to have evolved from the more prosaic turdus merula [aka blackbird]. The Oxford English Dictionary describes it as “[a] mythical bird displaying ridiculous behaviour” and speculates that the word could have been suggested by the word ouzel, meaning a blackbird (turdus merula). The earliest citation recorded by the dictionary dates from 1858. The status of the Physics of the Oozlum Bird slowly blossomed in the halls of academia and became more acceptable [in the early years of the twentieth century] when it was adopted by such luminaries as Rutherford and Einstein. This rarefied species of turdus merula continued to quietly evolve in the 20th century until it spectacularly arrived at its Golden Age in the 1960s. These results came at the beginning of the golden age of general relativity, which was marked by general relativity and black holes becoming mainstream subjects of research. At first, it was suspected that the strange features of the black hole solutions were pathological artifacts from the symmetry conditions imposed, and that the singularities would not appear in generic situations. This view was held in particular by Vladimir Belinsky, Isaak Khalatnikov, and Evgeny Lifshitz, who tried to prove that no singularities appear in generic solutions. However, in the late 1960s Roger Penrose and Stephen Hawking used global techniques to prove that singularities appear generically. The intrinsic qualities of the Physics of the Oozlum Bird meant that it was only a matter of time before it disappeared [with an almighty big bang] into a black hole. Therefore, it came as no surprise when the Daily Mail announced the final extinction of this fragrant form of turdus merula on 24th January 2014. Some commentators believe that the untimely demise of the Physics of the Oozlum Bird has setback the scientific enterprise by at least 25 years. 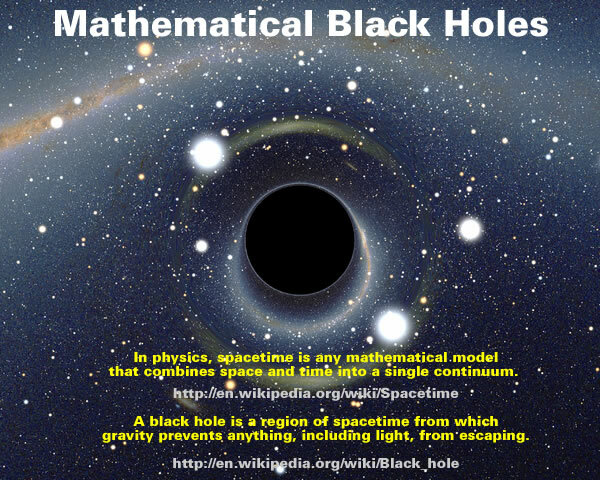 Astrophysical applications of white and grey holes are considered. Four types of anticollapsars in extended manifolds of general relativity are distinguished: canonical white and grey holes, light- and dark-grey holes. White and grey holes can be revealed in the form of bursts of gravitational and electromagnetic radiation, neutrino, and cosmic rays. Quasars, active galactic nuclei, jets, and cosmic voids can be associated with relicts of white and light-grey holes, and black holes do with relicts of canonical grey and dark-grey holes. Other commentators, such as Miles Mathis, are less sanguine and believe that the disappearance of this aromatic incarnation of turdus merula actually marks the collapse of Modern Physics. Although this paper is important as a bellwether in the collapse of Modern Physics, as a piece of science it is . . . well, not one. Others are saying Hawking is suffering from Alzheimer’s or something, but that isn’t my interpretation. As I have said, these top theorists like Hawking have been manufacturing controversy for almost a century as misdirection, and I read this paper as simply more misdirection. They had already mucked up this black hole math to such an extent 50 years ago that no one could ever unwind it, and have continued to stir it since. They contradict themselves on purpose. They want you so confused that you eventually just accept whatever you are told. They don’t want to solve these problems, they want them as permanent open questions, to lure all the armchair physicists, philosophers, and psychologists, who can debate the finer points and keep the magazines and journals properly inflated. You see, this black hole debate is a species of divertissement, akin to the old “angels dancing on the head of a pin” debate. Science is no longer science, it is anti-science dressing itself in the garb of science in order to obtain maximum funding. Like art and all other modern things, it is the polar opposite of that which it claims to be. Its function is not to solve problems, but to entrench them. Let me put it is this way: we can tell by the arc of science since 1900 that most working physicists prefer a paycheck to good science, since if they didn’t, we wouldn’t be where we are. Personally, I think Miles Mathis is being too optimistic because mainstream academia will probably [joyfully] discover that the Grey Hole is simply another [profitable] branch in the genus turdus merula. Gallery | This entry was posted in Astrophysics, Inventions and Deceptions, Science. Bookmark the permalink. I have been waiting for years for hawking to admit that.